Anti catholic single sheet pahphlet printed in London in 1643. 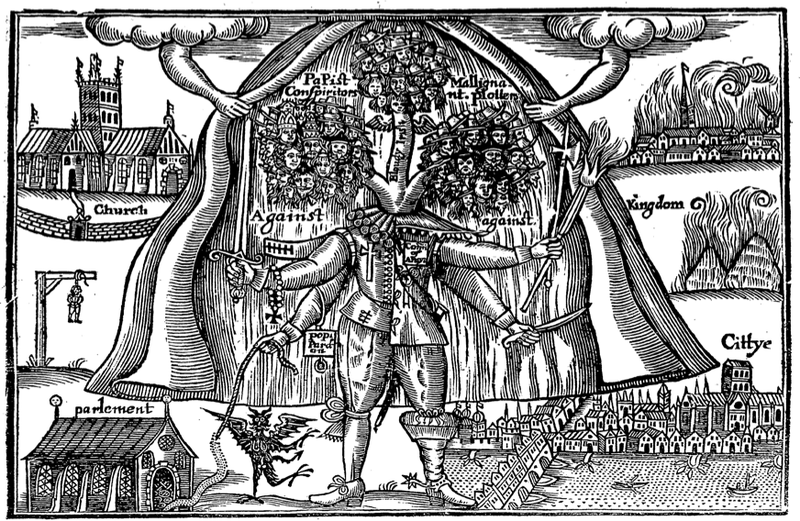 A many headed monster is revealed by disembodied hands from the clouds hiding beneath a large cloak, showing some interesting details in the costume. 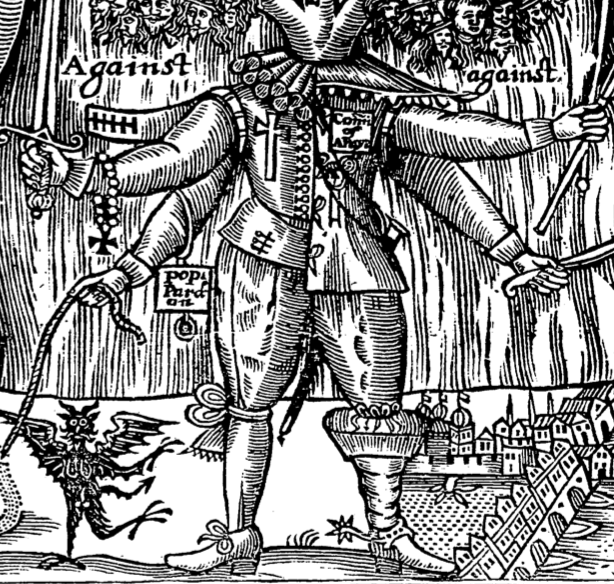 On the left hand side the monster (ignoring the fact that he has extra arms) is dressed in an collar ruff, doublet buttoned down the front with one empty hanging sleeve, thin waist belt, waist high breeches that are tied off below the knee, cloth hose and heeled latchet shoes. On the right a lace edged falling band, square cut coat (or doublet) that is tied with laces (this is unusual in an illustration), shorter breeches, as they probably (tenuous I know) don’t need to reach high enough to hook onto the coat and boots with boothose.